What was that thrumming noise overhead? I looked upward and realized it was the pulsing, whirling sound of helicopter wings. A Coast Guard helicopter made a big circle as I waved one hand to signal that I was alive and the reason for the sirens ringing out over the island. However, this chop, chopping was not music to my ears. Awkward visions of having to climb aboard a hanging ladder filled my head and I continued my pleadings with God. Shivering in the pre-season Atlantic Ocean, I treaded water, trying to make headway back to the shore. But the handlebars of this brand new elliptical paddle board having sunk below the surface, along with the offshore breeze were just too much for me. Numerous rescue vehicles awaited on the shore: an ambulance, police car, and even a fire truck. As the helicopter also continued to hover overhead, a crowd of people gathered on the shore, and I knew they were wondering the same thing I was – How did this middle-aged woman end up so far off shore alone in the early morning clutching a bright yellow board? Just an hour earlier when we arrived at the seashore, the ocean appeared unusually calm. My husband was so excited for me to use the new toy he had given me as an early birthday present: a paddleboard with handlebars for steering and bicycle pedals for more control than the typical paddleboard. Dave pushed the spanking new paddleboard, with me standing proudly on top, out over the waves, and I happily used the pedals to move the Mirage eclipse forward – straight out into the vast sea. After pedaling straight out to sea for a couple of yards, I squeezed on the right handle and expected the new hybrid paddleboard to follow along to the right. Nothing happened. I had been told before heading out that I would need to pedal fast for the steering to work, so I pumped my legs faster as I squeezed the handle with all my strength. I wouldn’t find out until much later, that the screw we tightened before I set off that day was actually supposed to be loose. Our tightening it prior to my departure was the reason behind this whole ordeal – a tight screw meant no steering. My husband kept yelling, “Turn! Turn!” as I moved out further from him, my daughter, and most concerningly – the shore. “ I am! I am trying to turn! ” I shouted back. At this point, I became more and more panicked as my adrenaline increased and my muscles tensed. I thought I must be doing something wrong and not peddling fast enough or squeezing hard enough, so I stayed on the board and pedaled on. I eventually ended up about one fourth of a mile out to sea. Then somehow, maybe just by leaning my body, I turned enough so that I became parallel with the shore. I kept pedaling and squeezing the handlebar, trying with all my might to turn more so I could ride back into shore. The current was going out to sea and with a 15 mph offshore wind, it took all my effort to stay on the board as I traveled parallel 10 beach blocks, while my husband and daughter Mary ran alongside me on the shore. My heart beat faster and my panic grew as I continued a pattern I’d developed as a new driver. You see, as a teenager, if I became lost while driving, I would drive faster instead of stopping and often made my situation worse. Similarly, as I pedaled along in the sea that day, instead of just stopping and regrouping and asking God for help, I made the situation worse as my adrenaline and panic caused my legs to pump faster. The board still would not move to the right, and I continued to move parallel to the shore. The lifeguards were not on duty yet, and I did not spot any other small water crafts. “Lord Jesus, please Help me,” I begged again and again. I started to use my body more in one last desperate attempt to move the paddleboard to the right, and splash! the waterboard and I capsized. Shocked by the cold water, I quickly put my arms around the overturned board (I didn’t want to lose my new present,) and started to kick to see if I could move myself forward toward shore. “Can they see me?” I thought. I prayed not just for myself but that my husband and daughter would have peace and not worry about me. An offshore wind pushed the top warm water out to sea leaving me in the frigid Atlantic and my legs were becoming numb as I tried to kick and move forward. Were they waiting for me to come to shore by myself? Oh, I hope they are getting help. At this point, I was cold and exhausted from traveling a half mile along the shore as my heart palpitations worked overtime. And then I heard music to my ears. Sirens. The loud emergency sirens echoed my cries for help and could be heard not just by me, but by everyone living on the Seven Mile Island calling out to all the rescue volunteers. I was hoping perhaps a motorboat would come to rescue me. I felt embarrassed that everyone on the island now knew there was trouble and that someone would have to come to help me. I waited and held on tight to my floating toy and hoped that they would hurry. And that is when I heard the helicopter wings overhead. And I told the God of the Universe how He should rescue me. My panic became peace and my breathing slowed as I waited to see what would happen next. I knew that I was going to be all right and I now just waited with trust to see how God planned to do it. I must have waited at least ten minutes as I clutched the board and faced the shore trying to spot my husband and daughter among the crowd of rescue vehicles and spectators who lined the water’s edge. And then two lifeguards came to my rescue aboard a jet ski. The sun shone behind their flowing hair and bounced off their kind, handsome faces and strong shoulders. My relief and gratitude were immense. I keep telling them, “Thank you so much,” as I gazed into their beautiful glowing faces. The jet ski had a board on the back with handle bars and they helped me to lie down stomach first as I held on to the handles. By this time I was exhausted and shivering and I’m sure the lifeguards could see my weariness. The lifeguards strong warm body lay on top of me and I felt God’s strength, help, and love through this unexpected gift of protection and deliverance. We flew across the ocean waves on the back of the wave runner into shore and I giggled as my body would slip under his and the thought of how I was being rescued made me laugh with delight. “Yes, this was much better than a motor boat.” I thought with a smile. As we approached the crowd of people lining the shore, I continued to giggle at the thought of being sandwiched between a jet ski and a lifeguard. A warm blanket was placed over my shoulders. The lifeguards lifted my board, and they (and the crowd), were especially surprised to see the handlebars underneath. I believe I felt the reality of God’s feathers of protection as I lay under the lifeguard’s strong body and I rode in giggling with joy. I am thankful that God knows just what we need – and sometimes that means two strong, beautiful angels who know how to drive a jet ski. Author amberobrienPosted on February 9, 2019 February 11, 2019 Categories UncategorizedTags amber obrien, angelic lifeguards, Avalon, elliptical, elliptical board, Help, Help Lord Jesus Help me. 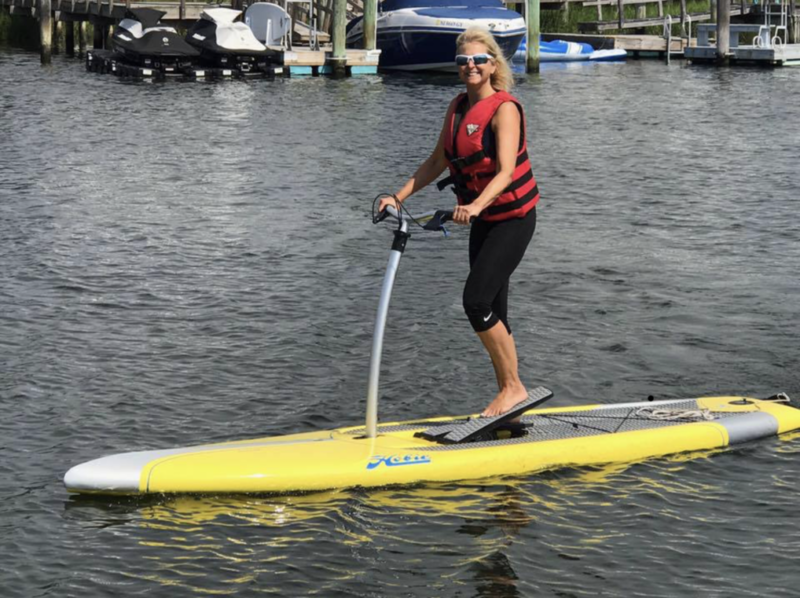 mirage Elliptical paddleboard, I know what you need, jetski rescue, N.J, NJ, No steering Included, pedaling out to sea, Seven Mile Beach, Seven Mile Island, Stone Harbor, trust6 Comments on Pedaling Out to Sea… No Steering Included. Hi Sweet Sister….so glad you could join our discussion as we study another dramatic interaction of Jesus and a woman. Exposed. She stood alone after being ripped from a bed of passion and placed in front of a crowd of judgmental religious leaders. She was a pawn used to bring down the meek prophet Jesus. Imagine yourself in her place as she stands confused, embarrassed, humiliated and scared to death. Her heart must have raced as her adrenaline rose causing her to seek to “fight or flight”. 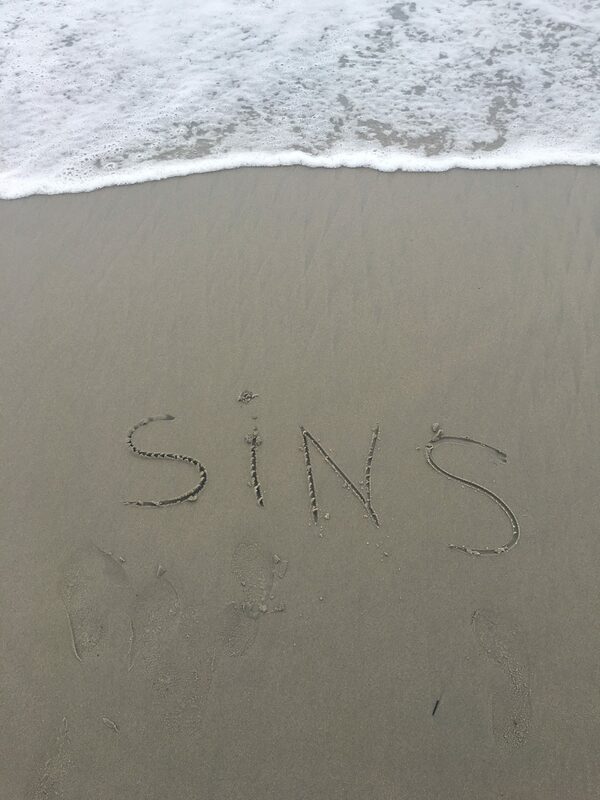 However, she was as trapped as the man Jesus who was writing in the sand. Man…………………………..does Jesus love His women. Let’s start at the beginning in the Gospel of John chapter 8: 1-11. Where did Jesus go the night before this dramatic interaction? What do you think Jesus was doing there? He left his disciples to be alone. Perhaps he was praying for wisdom as to the next days’ events? Spending time with His Father God as Mary modeled for us in Chapter 1? 2. Where is the “Man” caught in Adultery? Does the law require the man to be stoned as well? Read Deuteronomy 22:22-24. Since these leaders and Elders asked for Stoning it appears this woman was a betrothed virgin. So the man should have also been stoned. It is a mystery as to where he was during this confrontation. He certainly was not defending her. She stands abandoned, betrayed and alone. But is she alone? Are we ever alone as daughters of the King? Have you ever felt accused by others? Attacked and misunderstood? Write down what happened and how you felt. What women in the New Testament (she is related to Jesus) could have been stoned? Yes…his own mother….Mary could have been stoned…should have been stoned (according to the law) if Joseph choose to expose her in the same way. Since the woman (Mary) was pregnant the child would have died as well. How would this world be different if Jesus had died in Mary’s womb? How would you and your world be different? God intervened with Angels (messengers from God) to save Mary and the son of God. Who would intervene for this women….? 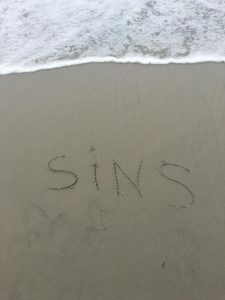 What was Jesus writing in the sand? A. Names ? Read Jeremiah 17:13 Some scholars believe that he was writing names in the sand…. What is the opposite of being written in the dust? Perhaps Jesus wrote with his finger the commandment, Thou Shalt not Kill. Weren’t they all guilty of this command? What a powerful symbol for the religious leaders to see him writing in the sand. Quietly, the leaders are reminded that the 10 commandments were written by the finger of God. Now, Jesus is writing out commands. Were they being loving toward this woman? toward Jesus? Do you think they realized that the Kingdom of God was upon them? If Jesus is God made flesh, than is not Jesus the finger of God? C. Comfort for the frightened woman? One of the sweet sisters thought perhaps that Jesus was writing out something to comfort the woman. This certainly would align with the kindness and love shown the woman after they all leave. “Do not fear, for I am with you; do not be dismayed for I am your God. I will strengthen you, I will help you, yes, I will uphold you with my Righteous right hand”. To counteract the words of her accusers:…..”adultery” “sinner” “harlot” “condemned” etc. 5. What do you think Jesus might have written? _______, __________,________________. Why do you think they all walked away? Why the elders first? Who is the only one who is without sin? The only one who can forgive sins? So this passage does not tell us what the woman physically did immediately after her accusers left……. 6. What do you think she must have done if Jesus forgave her and said, “Neither do I condemn you. Go, from now on do not sin any more.”? Sweet sister….I imagine her falling to her knees in relief and gratitude. Kissing the feet of Jesus and thanking Him for defending her. I believe she repented and decided to turn to Jesus and turn away from sin. Read Psalm 51….such a beautiful and powerful song of Repentance. Do you need to turn from a sinful choice and turn toward Jesus? Are you “all in” or are you still sitting on the fence? What do you need to leave behind that is preventing you from following even closer to Jesus and his holiness? Will your name be written in the dust as one who turns away from the Lord or will your name be written in the book of Life as one who turns toward the Lord. He waits patiently for you and I to offer our broken, humbled hearts at his feet. Man………………………….does Jesus love us women.